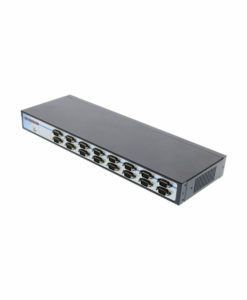 The USB2-8COM-M Industrial 8-Port RS-232 USB 2.0 Serial Adapter Box makes use of a high quality FTDI chip that allows you to add eight industrial RS-232 serial ports by connecting to a single USB port. This device supports high speed baud rates of up to 921.6K bps. Designed to take advantage of using USB Host port. High grade constructed metal chassis. 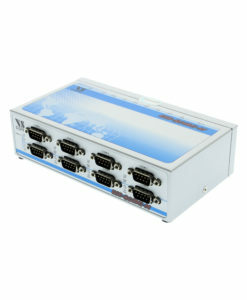 Adds eight RS232 serial ports to your system. Installs as a Windows COM port adapter with no conflicts. Our new industrial USB to 8-Port RS-232 Serial Adapter gives your laptop or workstation the ability to communicate between a USB (Universal Serial Bus) port and up to eight RS-232 serial Ports. The USB2-8COM-M USB Octal (8 Port) Serial Adapter is designed to take advantage of your host USB port to expand your native serial COM capabilities. 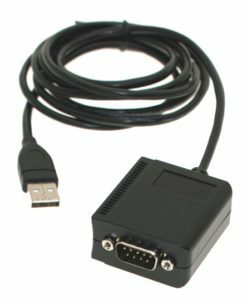 The USB 2.0 to 8-Port RS-232 serial adapter instantly adds eight RS-232 serial communication ports to your system from its industry-grade construction chassis by taking advantage of the USB bus. Plugging the Industrial 8-Port Serial Adapter to the USB port, the adapter is automatically detected and installed with no need for configuration on your part. There are no IRQ & COM port conflicts, since the ports do not require any additional IRQ, DMA, memory as resources on the system. 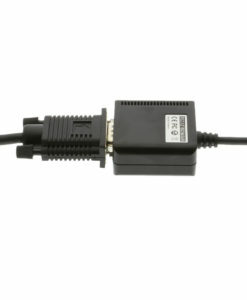 The USB 2.0 Octal Serial Adapter is provided with a switching power adapter. The USB 2.0 Octal Serial Adapter provides instant connectivity with modems, ISDN TAs, PDAs, handheld & pocket PCs, digital cameras, POS, serial printers. It is suitable for remote access, retail and industrial applications, data collection and other applications requiring high speed RS-232 serial communication ports. Self-powered. One switching power adapter of 12V, 1A provided. The 4 port USB 2.0 USB Hub has certain accessories that work with it. These hub accessories are what you can order if needed for this hub.